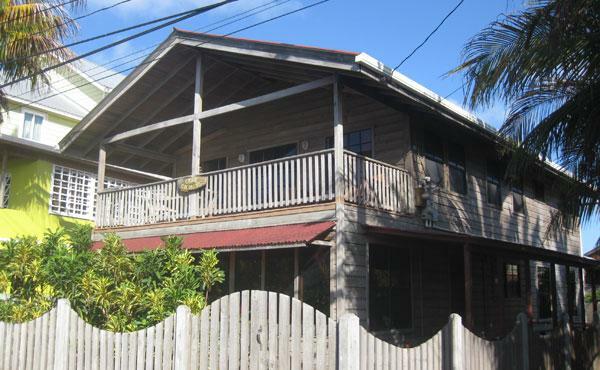 This property comprises two plots of land separated by Utila’s main street. 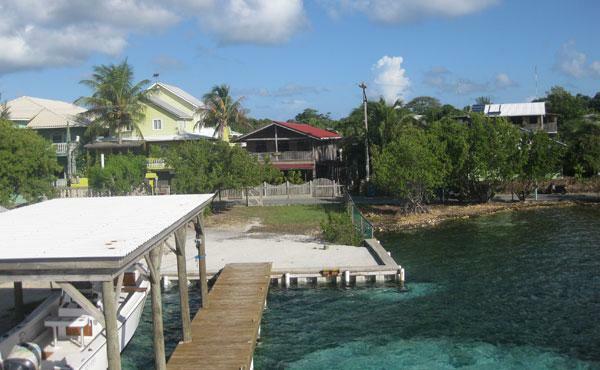 A 0.07 acre lot on which the Casa Colorado home is constructed, and directly opposite on the other side of the street, another 0.07 acre waterfront lot which extends into Utila’s harbor. 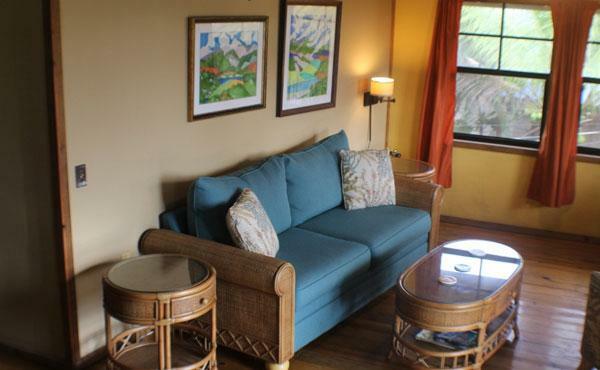 Casa Colorado is ideally located for a vacation home, permanent residence or vacation rental property. 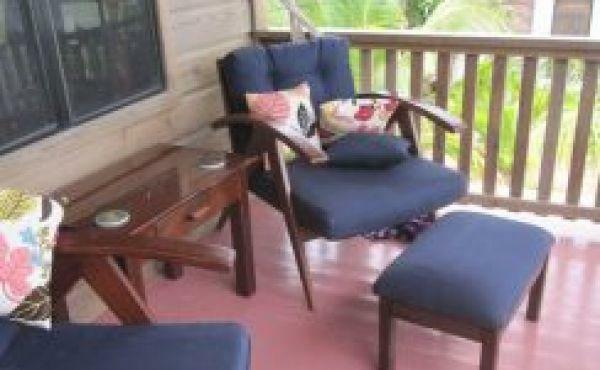 Sit on the upstairs porch and gaze across the road to Utila’s Harbor and the Honduras mainland mountains or just watch the people passing by on the main street. 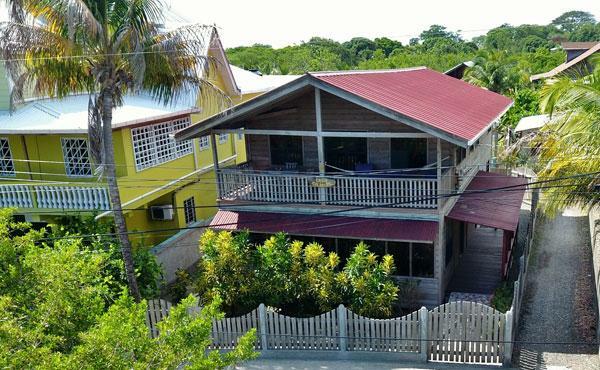 Casa Colorado is built on two levels and is situated on a 0.07 acre lot fenced to all four sides with 38 ft (approx) of frontage on Utila’s main street. 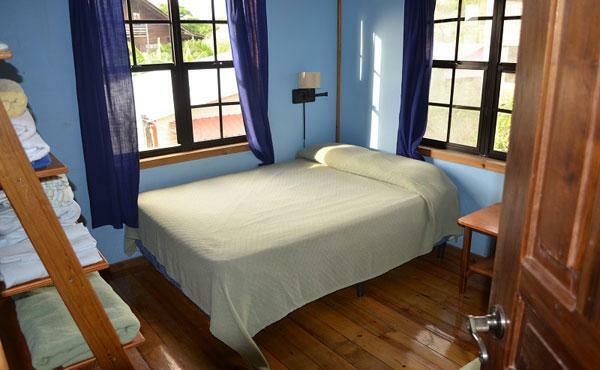 At the 1st/ground level is a large (1,207 sq ft) open room with two bathrooms and showers. 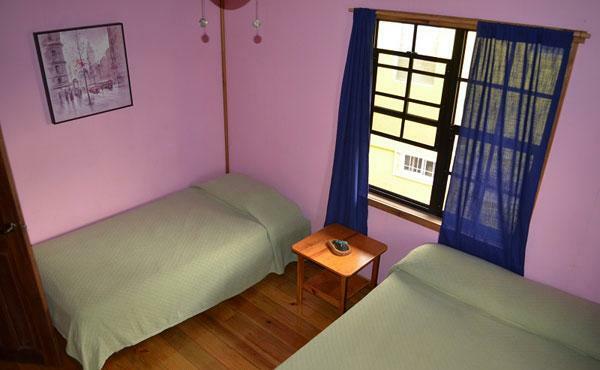 This room is air-conditioned and suitable for use as a commercial space or conversion to apartment(s). When Casa Colorado was originally built this floor was used for a gym and juice bar business. 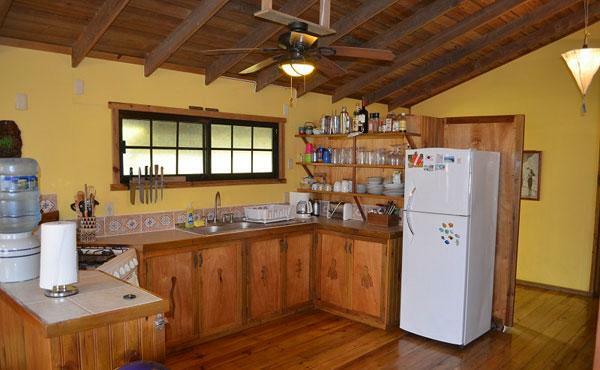 Also at ground level is a separate storage shed/workshop in which the washing machine is housed. Sufficient space to park a golf cart, ATV, or similar is available in the back yard of the property. 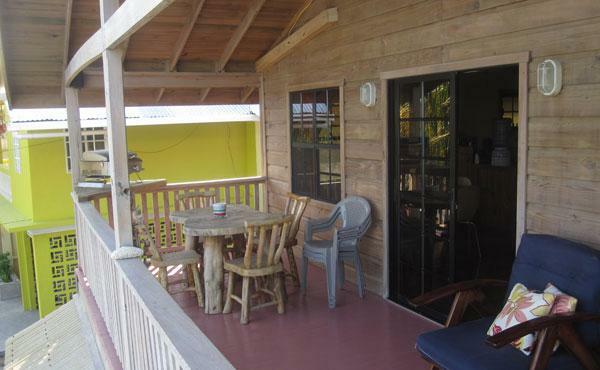 The 2nd level is a fully furnished home (960 sq ft excluding covered front porch) with 3 bedrooms, two bathrooms, and combined kitchen/living room area. 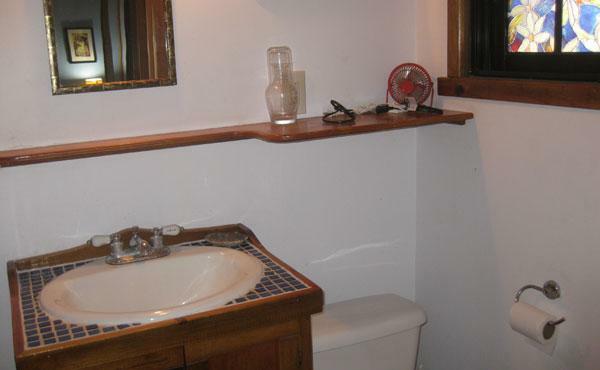 Except for the bathrooms, all spaces are air conditioned and have ceiling fans. 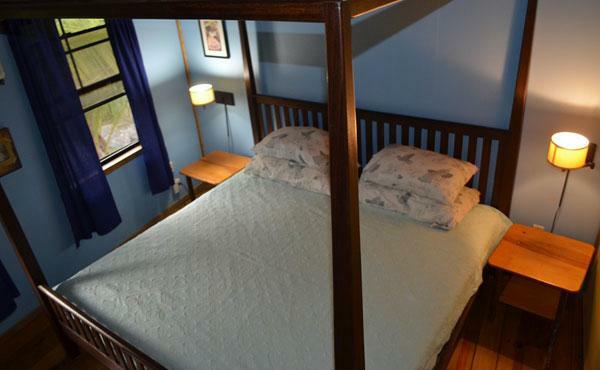 The master bedroom contains a king size bed and has its own en-suite bathroom. 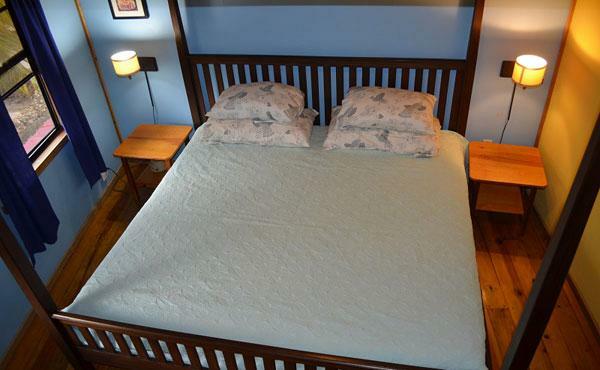 The two other bedrooms each contain a double bed and a single bed. 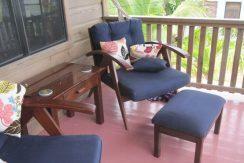 When the property owners are not in Utila this second level is offered as a vacation rental ($175 per night). Each level has its own separate entrance. 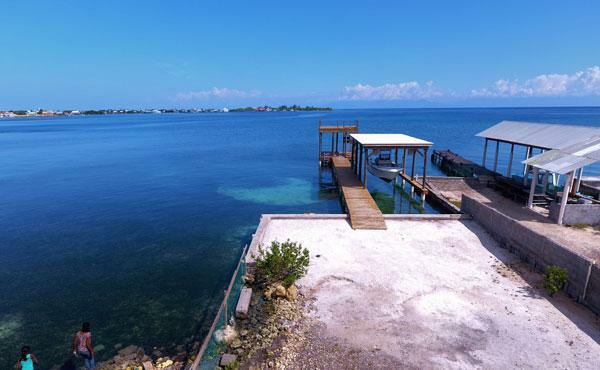 On the harbor side of Utila’s main street and directly opposite Casa Colorado is a 0.07 acre plot of vacant land fenced to 3 sides. Lots such as this are rarely available for sale. 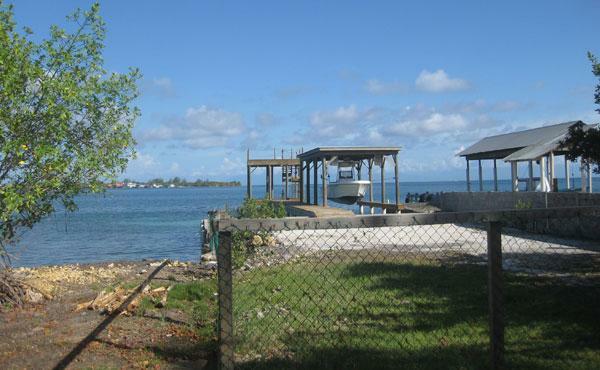 The lot has 40 feet of road frontage and extends 82 feet from the road into Utila’s harbor. 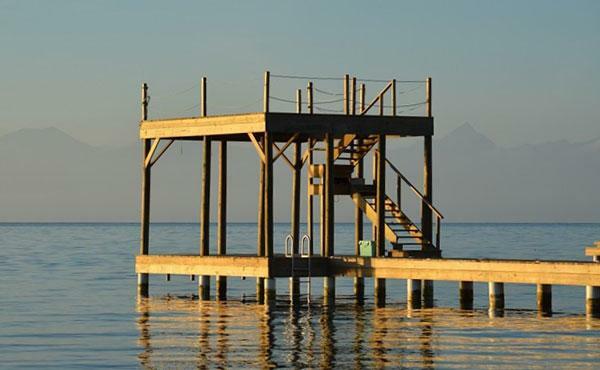 At the end of the land is a 6 ft wide dock extending 79 ft into the harbor. 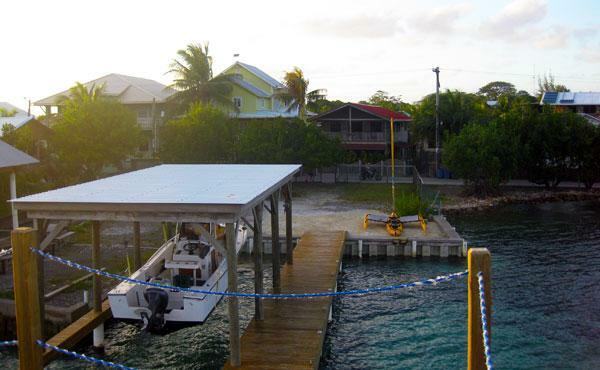 On the west side of the dock is a covered boat slip. 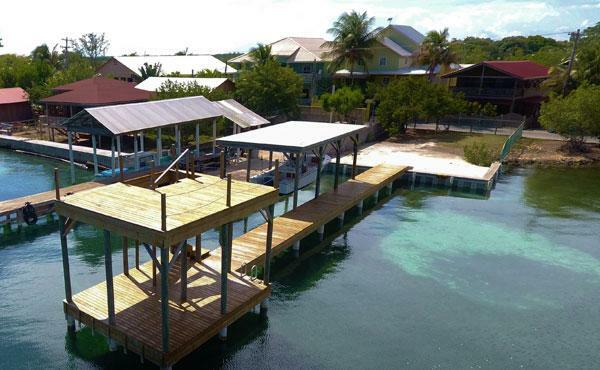 At the end of the dock is a deck built on two levels (each level is 20 ft x 16 ft) and extends the dock into the harbor for a total of 99 ft. The deck at the end of the dock provides a great location for sun-bathing and parties, or just watching the boats come and go in in the harbor. Seller’s personal clothing, scuba gear, and some art works (yet to be specified) are not included in the sale price. 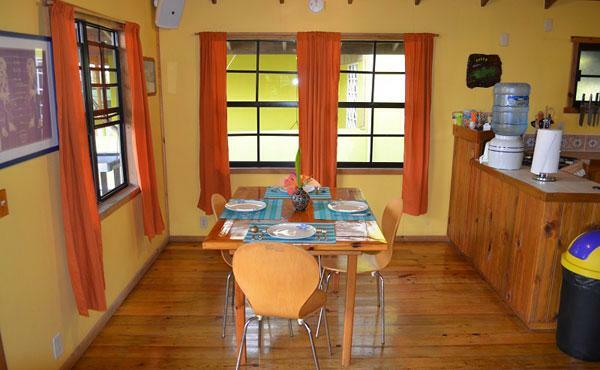 Casa Colorado is also offered for sale without the waterfront lot.